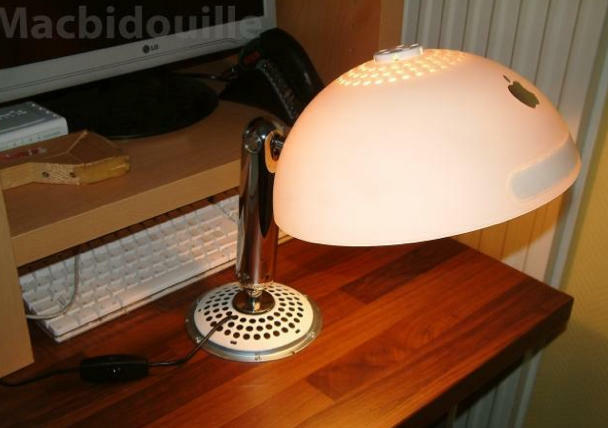 The swivel goodness at the base of the iMac G4 had a near-human flexibility and was nicknamed the iLamp in a nod to Luxo Jr., star of a short Pixar film. Now, one of those aging bases from the early 2000s is living out its retirement as a lamp. Another illuminating idea courtesy Apple.